Quoc & Trinh chose the Yellow Leaf Photo Booth Company to enhance their Wedding Reception at the Mellwood Art Center in Louisville Kentucky. Utilizing our All-Inclusive Classic Photo Booth package which includes unlimited photo sessions, our huge selection of props, on-site photo booth attendant, scrap book and our Instant Uploads feature; Quoc, Trinh & all their guests had a great time. 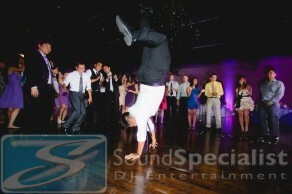 The huge selection of props we brought out was a big hit! We had on hand funky hats, sunglasses, feather boas, mustaches on a stick, custom message signs and the ever popular white board for guests to write their own message to the Bride & Groom. 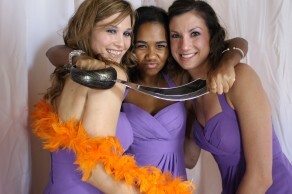 Speaking of huge hits; the instant upload feature of the Yellow Leaf Photo Booth was used by just about every guest present. 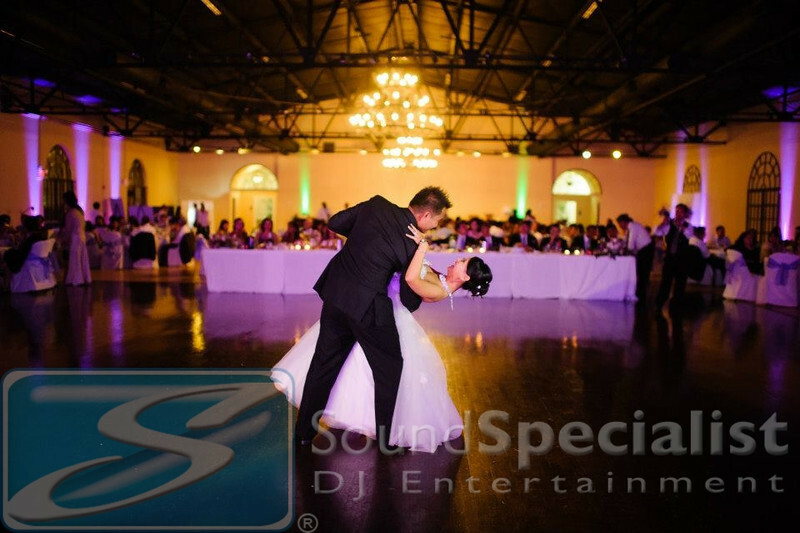 This feature allows the guests to email their photos to themselves directly from the photo booth. By the time the Wedding guests returned their props to the attendant and picked up their photo strips the pictures they had just taken were on their phone for them to upload to FaceBook, Twitter or Instagram. The Reception was at the Mellwood Art Center in Room #3. 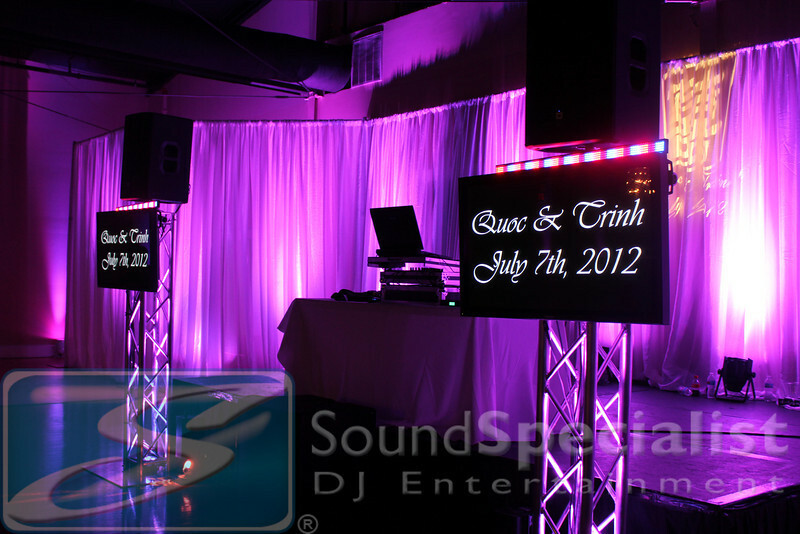 The room was transformed into a fairytale setting by Sound Specialist DJ Entertainment & Event Lighting. 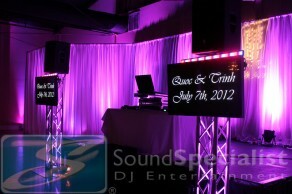 Full room up lighting and a custom monogram were just a couple of the many special touches. 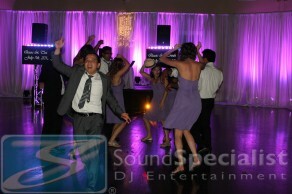 The dance floor was kept full by one of Louisville’s best DJs, Stephen Crandall of Sound Specialist. 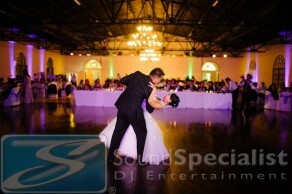 All the special moments of the night were captured by the amazing Adam Padgett of Adam Padgett Weddings. There’s a reason they call Adam the “Wedding Ninja”. 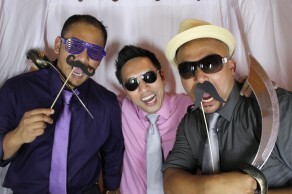 Check out Quoc & Trinh’s Louisville Photo Booth photos by clicking here.